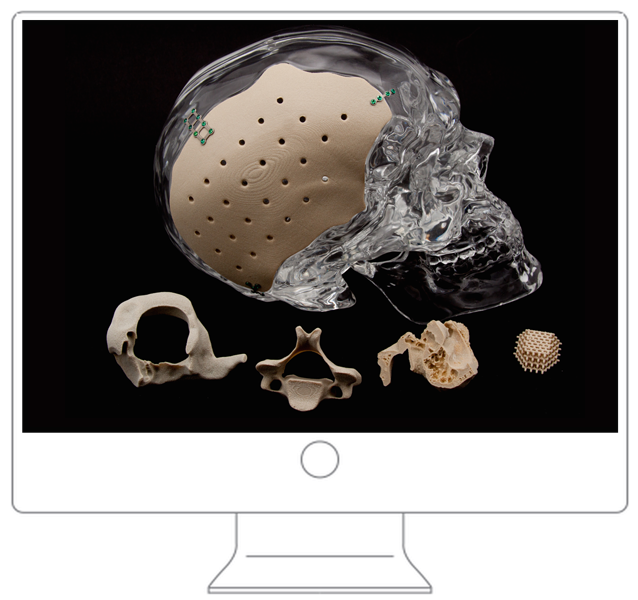 OPM is an original equipment manufacturer (OEM) of medical devices that utilize the company's OsteoFab®process, which combines laser sintering additive manufacturing technology and OPM's proprietary OXPEKK® material formulation to 3D print orthopedic and neurological implants. The rising cost of healthcare is a global issue that cannot be ignored. The adoption of our OsteoFab® implants over metallic and other polymeric options appears to be driven by a combination of 3D printing technology attributes: desirable economics, biocompatibility, radiolucency, and bone-like mechanics and behavior. 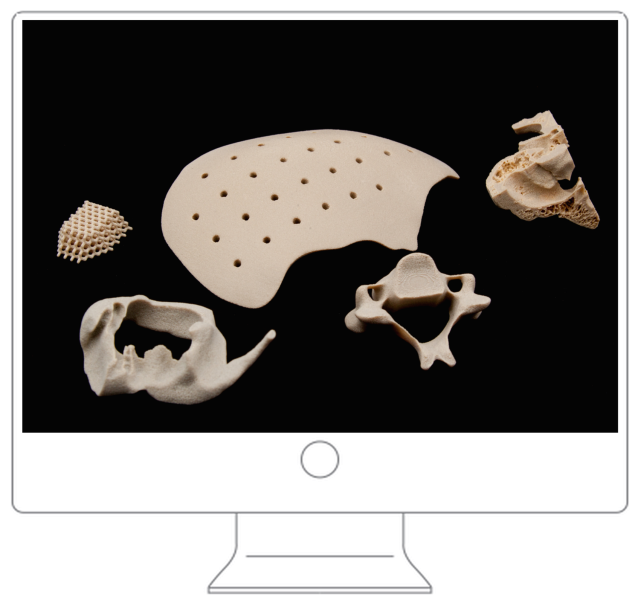 Studies have shown that our OXPEKK® 3D printed formulation exhibits osteoconductive characteristics – meaning bone grows onto the micro-textured surface, providing technology for bone fixation. 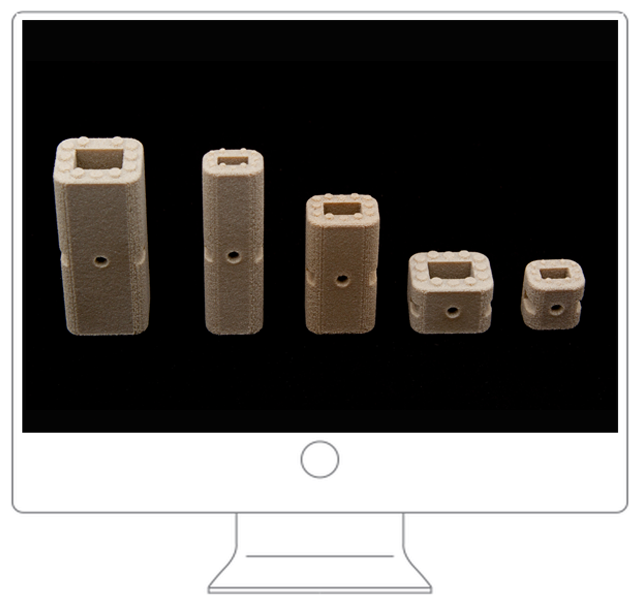 OPM also provides contract manufacturing services to 3D print OsteoFab® implants from approved design files from customers worldwide. See details in the contract manufacturing section of our site. 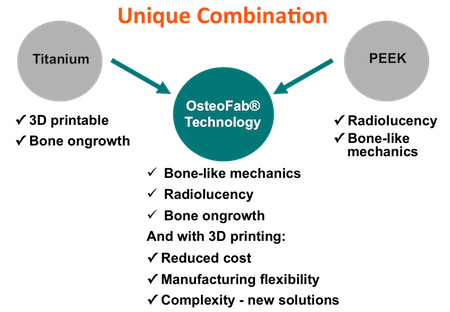 An exciting aspect of OPM’S OsteoFab® technology is that additional complexity does not increase manufacturing cost. 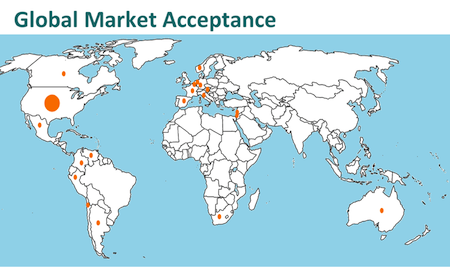 As a result, additive manufacturing has the potential to not only improve patient outcomes, but also fundamentally improve the economics of orthopedics on a global scale – for developed and developing countries. These are disruptive changes that could allow the industry to provide the finest levels of healthcare to more people at lower cost. Osseointegration: OsteoFab® technology combines surface chemistry and topography that enables bone ongrowth. The manufacturing process produces parts with a surface that allows for cell attachment, osteoblast differentiation and new bone formation.